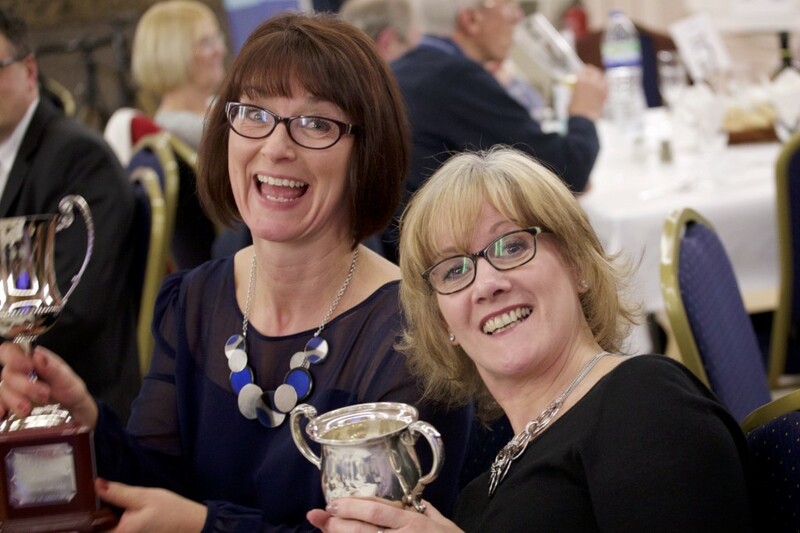 On Friday evening 12th February Peterborough Cycling Club held its annual Trophy Presentation event at the Italian Community Association, The Fleet, Fletton. 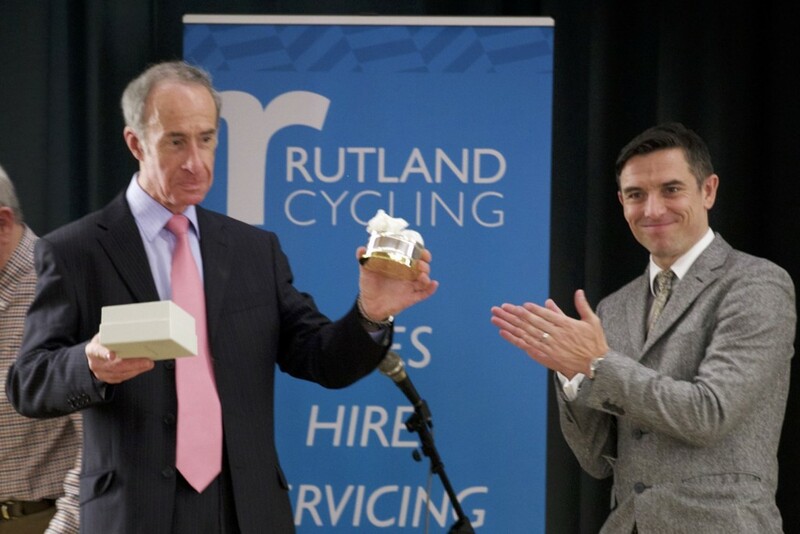 Guest of Honour was Dean Downing, recently retired top British professional road racer. 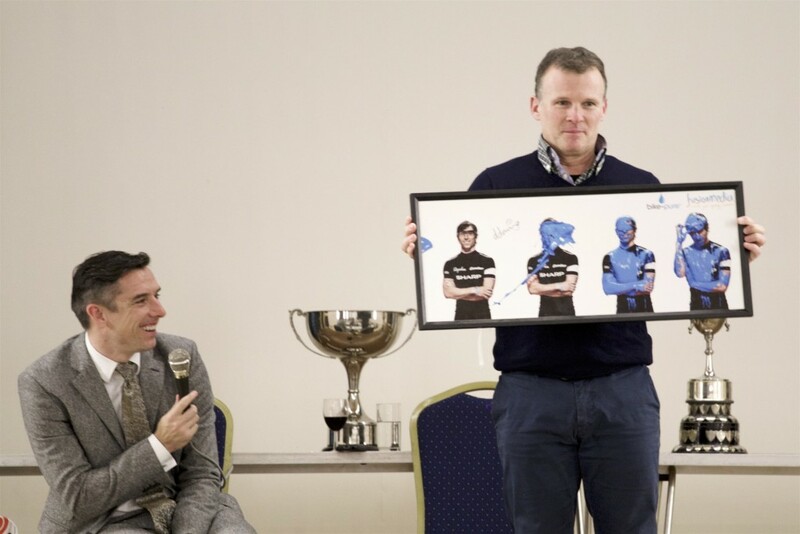 But he will still be active in cycling as assistant manager for JLT Condor. In this role he will be looking after riders including Steve Lampier, second claim member of Peterborough CC; Steve has been racing in the Antipodes for the last few weeks, against the world’s top riders, with considerable success. 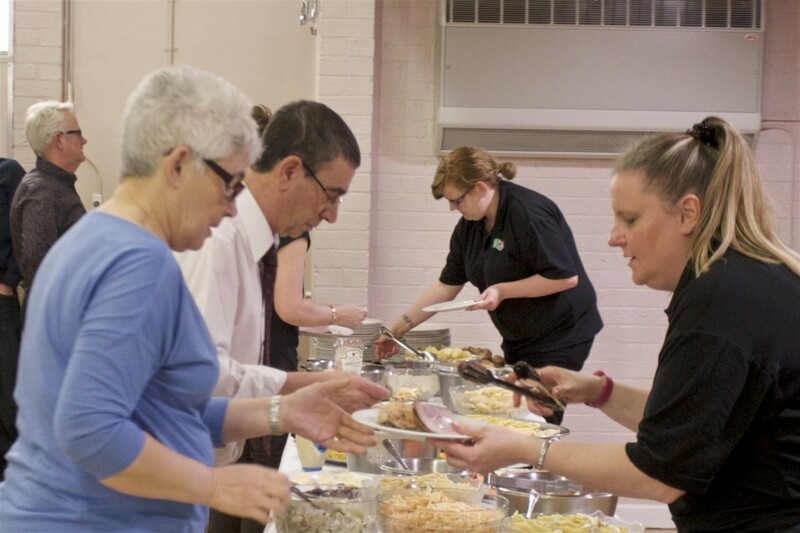 The evening was attended by 76 Club members and their guests, including Club sponsors, and all enjoyed an excellent buffet meal. 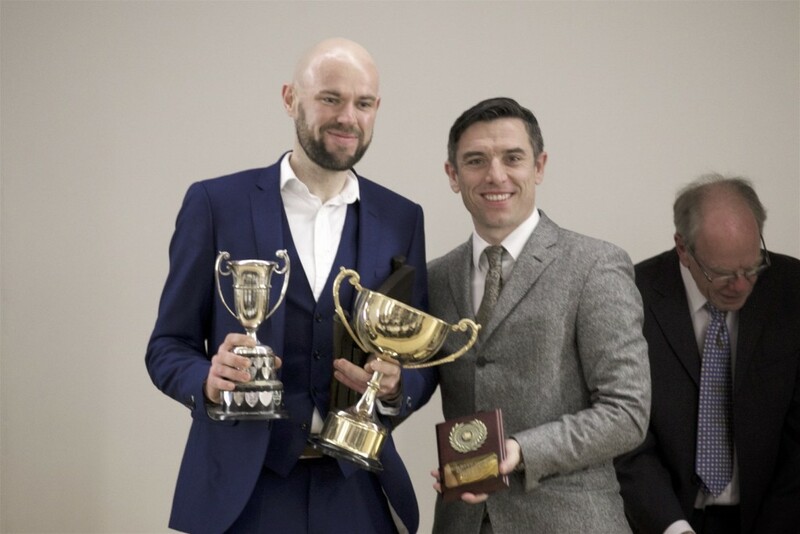 Dean Downing presented the many trophies, including to Jason Burrell (pictured) who had a very successful 2015 season, capturing some Club Time Trial records, and riding road and track races. 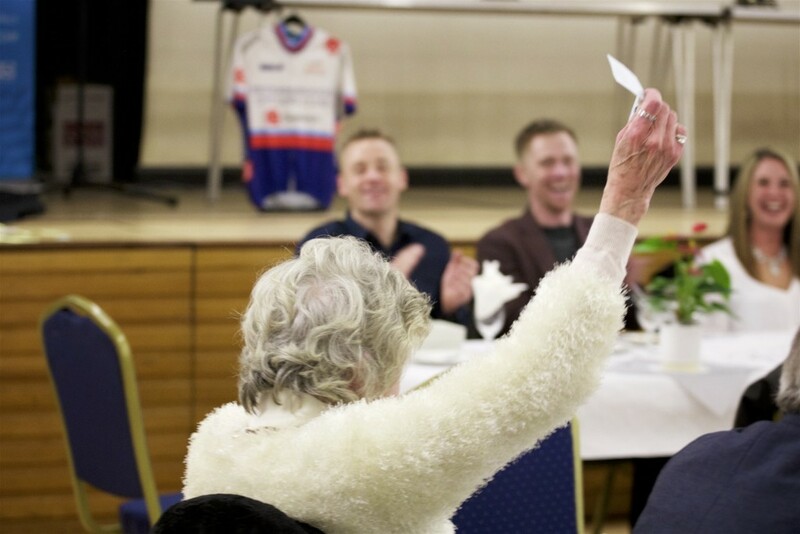 A special presentation was made to Brett Harwood, also a Peterborough CC second claim member, who had a brilliant 2015 Time Trial season, culminating in winning a National Closed Circuit Championship. 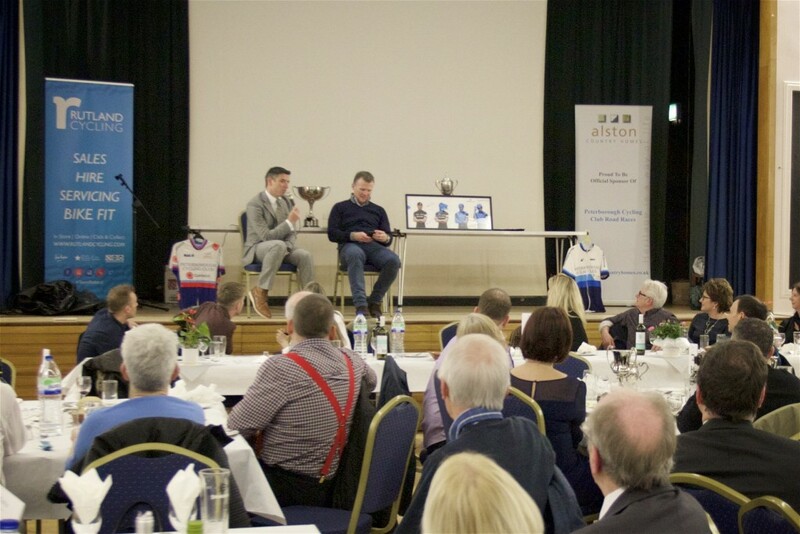 A quiz, raffle and Q&A session with Dean made for a highly successful evening. 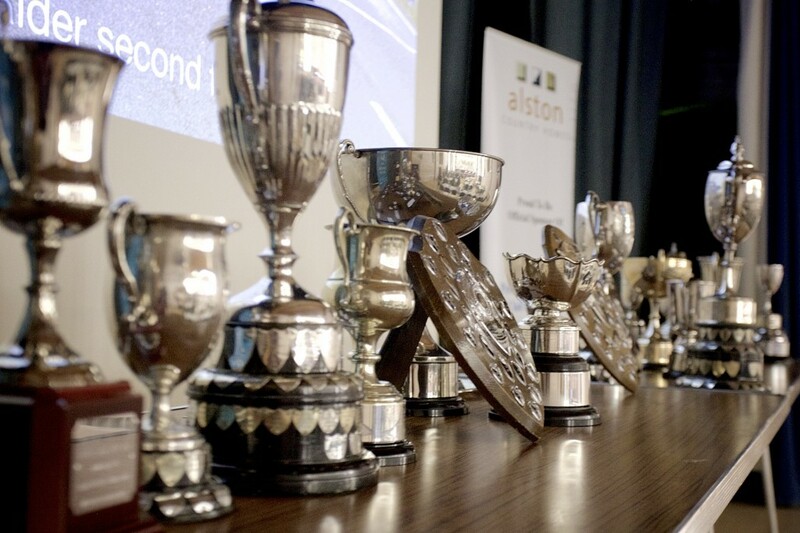 At close the Chairman thanked Dean, all attending and The Club Sponsors – Alston Country Homes, Qualitetch and Rutland Cycling. 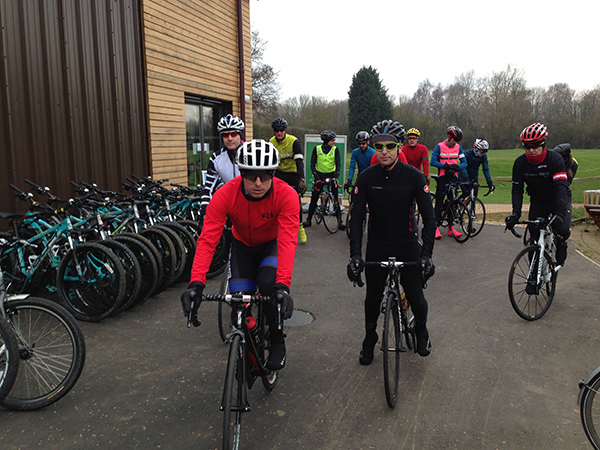 The following morning Dean joined 20 Peterborough riders for a bracing 45 mile jaunt to the west of Peterborough, starting at the new Rutland Cycling Store at Ferry Meadows. Shown leaving the store, Dean wears red. 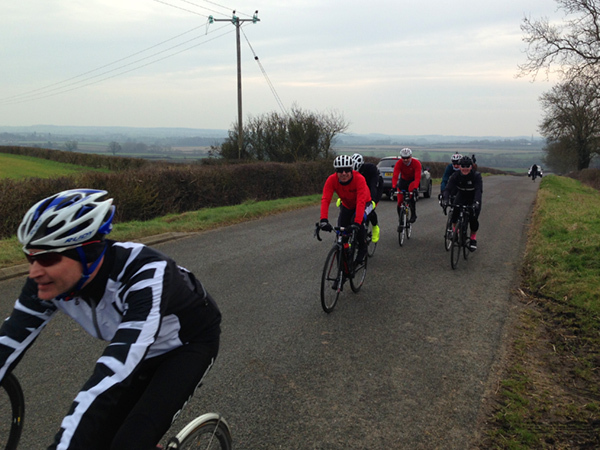 The second photo shows riders at the top of Southwick hill.